I used to wonder that, too! Gold: When traveling, having money is a necessity and a protection because you don’t know what kinds of situations will come up. Frankincense: This resin and the oil that was produced from it was well known for its healing properties. In fact, it was reportedly used for everything from “gout to a broken head”. Myrrh: a very powerful resin and oil from ancient times. It was used for many skin conditions, such as chapped skin and wrinkles. The burned resin served as an insect repellant and promoted physical and emotional well-being. The resin was also finely ground and made into ointments and added to wine as a preservative. No doubt, the gold, frankincense and myrrh were provided at exactly the right time. A relative of frankincense, myrrh is a short thorny tree found in Somalia, Ethiopia, Kenya, and in the Arabian peninsula. When the bark is cut, it produces a reddish oily resin which hardens into nuggets which are harvested. It was one of the ingredients in the divinely formulated holy anointing oil used by priests ancient Israel. Myrrh was considered a highly spiritual oil/resin and was a prized commodity throughout the Middle East. Egyptians carried cones of fat on their heads containing myrrh that would melt in the desert heat and keep their bodies bathed in myrrh and other oils. Today, many appreciate myrrh for its skin supportive properties and add it to their skin care routine by gently smoothing their wrinkles and dry areas with myrrh before proceeding with their chosen skincare protocol. Down through history, myrrh has been used by women during their childbearing years. It may help maintain skin elasticity when applied topically. When diffused and inhaled during labor, myrrh’s fragrance may prove to be a calming breath of fresh air. When combined with other essential oils, myrrh prolongs the scent of the other oils, making it a favorite among perfumers. In fact, it was blended with so many perfumes and ointments in Biblical times that in the Gospels the Greek word for myrrh, “muron,” was sometimes translated as “ointment” without revealing that its content included myrrh. Wow. This summer has flown by! How about yours? Are you scratching your head, wondering where it went? This is great time of year to regroup and focus on what is important and how to get it done. It’s probably a throw back from the excitement and nervous energy that I always had when starting a new school year. Every year, I looked forward to succeeding and learning new things. I also remember how hard it was to shift gears from summer mode to listening to teachers and doing homework mode. I am remembering that today, actually. I’ve been so busy this summer with OTHER things that consumed my focus and time that I chose to take a semi-vacation from the internet. Today, to support my mental focus, I am diffusing HIGHEST POTENTIAL. It is an essential oil blend that helps me gather my thoughts and maintain focus on the task at hand. It contains a couple of Young Living blends and a few single oils, too. Australian Blue is made up of oils that are uplifting, grounding and stabilizing. Gathering, another of my favorite blends, helps me gather my scattered brain particles and focus on my game plan. Jasmine clears mental blocks and is mentally and emotionally elevating, inspiring creativity. Ylang Ylang helps on an emotional level, helping us regain confidence and balance. How cool is that?!! I’m breathing in four oils in one! As well as being cost efficient, I know I am receiving multiple benefits: a key oil in Australian Blue is very supportive to the immune system and Gathering has several oils that are calming and uplifting. Ylang Ylang and jasmine are both relaxing while supporting focus. Going back to school would have been so much easier if I had wonderful oils like Highest Potential and Gathering back then. 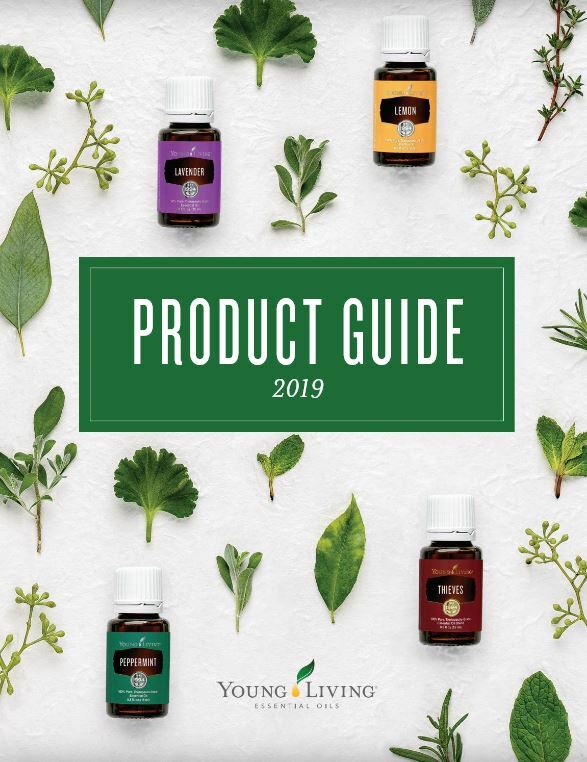 If you want to try any of these oils, go to my HOW TO ORDER page. You’ll find everything you need there! Lemon oil is another essential oil that I use on a daily basis. I keep it on my kitchen counter so it’s handy when I need it. I add it to my drinking water, diffuse it, and use it for cleaning all sorts of things. Genuine lemon oil is anywhere from 65 to 72% d-limonene, a molecule found in nature that supports overall health and may support normal immune function. Its refreshing aroma is invigorating, enhancing, and warming. Lemon oil has been widely used in skin care to cleanse skin and reduce wrinkles. Use 6 drops of lemon oil and 6 drops of Purification oil in a squirt bottle mixed with distilled water to use in the bathroom as an air freshener. Use 1-2 drops of lemon oil to remove gum, oil, grease spots or crayon. Use 1 drop of lemon oil to add flavor to baked goods or beverages. For homemade lemonade, ream 1/2 an organic lemon, add 2 drops of lemon essential oil, stevia or agave to taste; add 2 cups of pure water. To clean and increase the shelf life of fresh fruit, fill a bowl with cool water and 2-3 drops of lemon oil. Drop your cleaned fruit into the water and stir. Add a drop of lemon oil to your dishwasher before the wash cycle. Rub a drop of lemon oil on your hands after using a public bathroom. 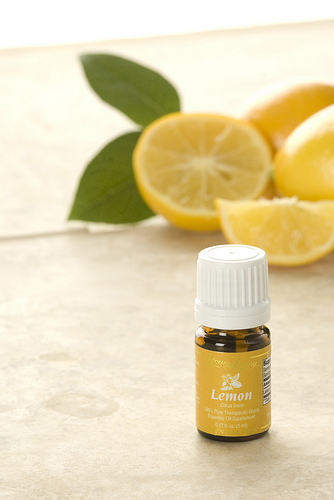 Rub a drop of lemon oil to clean a butcher’s block or other cutting surfaces. Put 10-15 drops of lemon oil in each gallon of carpet cleaning solution to help pull out stains and brighten the rug. Of course, when ingesting essential oils, only use authentic, unadulterated essential oils. For that reason, I use and recommend Young Living essential oils. **Safety Data: Avoid direct sunlight for up to 12 hours after use.